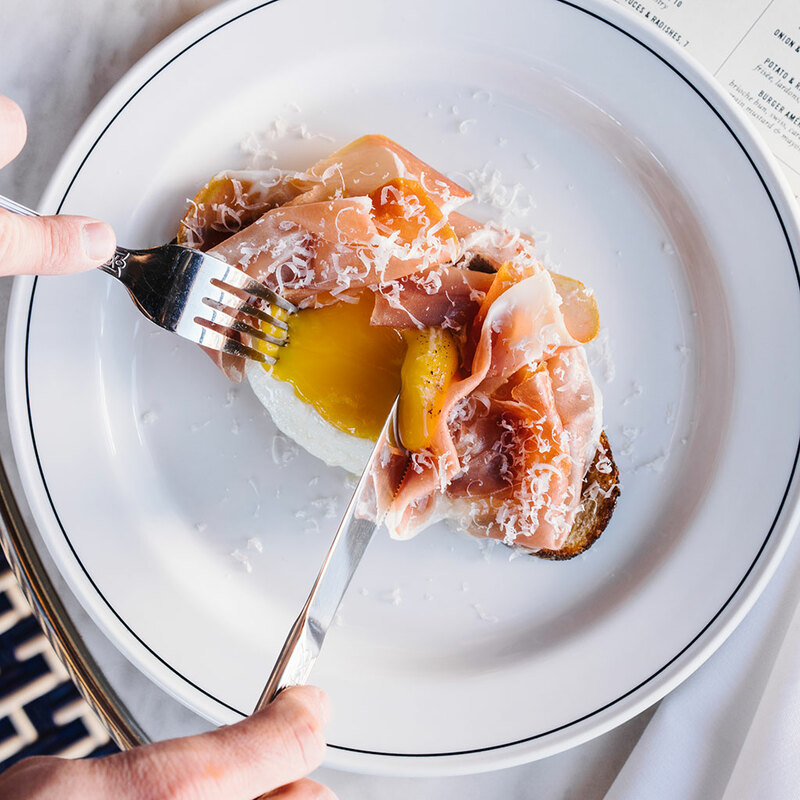 What: Executive chef Bryan Stoffelen’s ideal hangover cure is a simple one, but a showstopper — fried egg with Bayonne ham on sourdough. “When coated in Parmesan it has everything you need to turn your day around. Protein, fat and salt,” he says. Just look at that yolk and tell us you don’t want that right now. Wash it down with: Stay classy with a sparkling Chenin blanc.